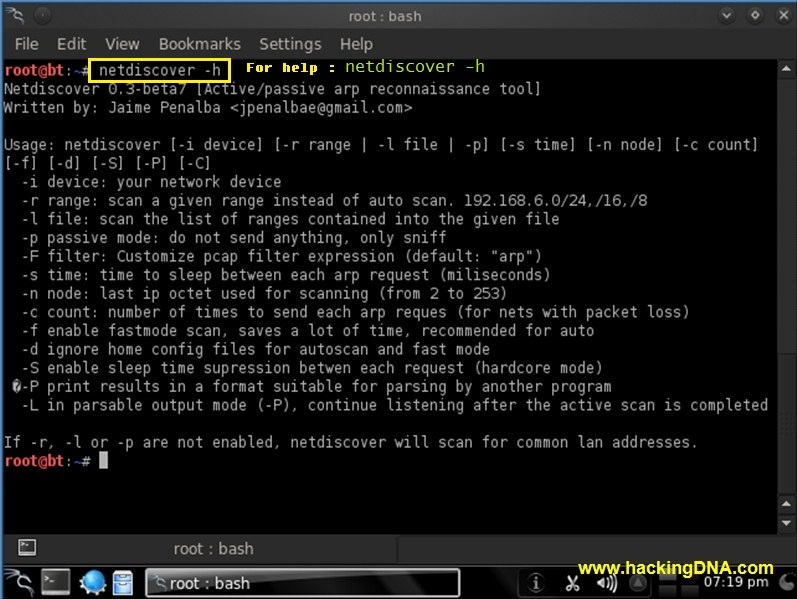 Netdiscover is a Active / Passive arp reconnaissance tool .This tool is written by " Jaime Peñalba ". 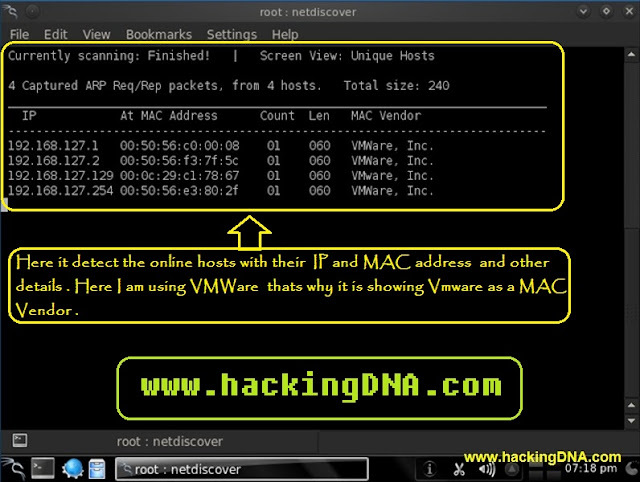 It is used to discover the hosts on the network . If you want to see the help screen press the 'h' key . Now you can see the help screen in the middle of the screen . 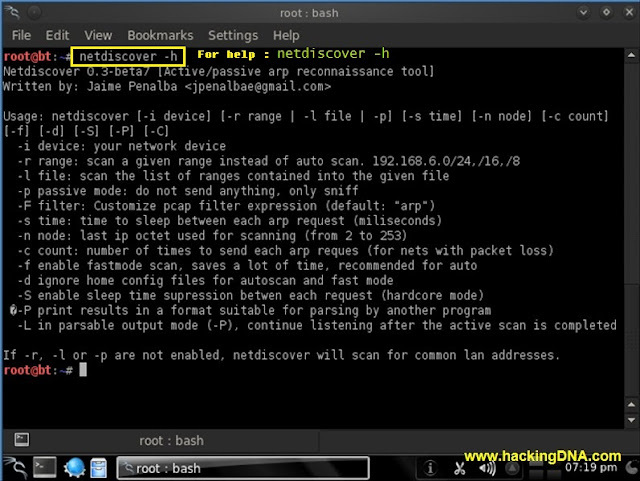 This is how we can use netdiscover tool . Goto any hotspot area and scan your hotspot zone, their you can utilise this tool more effectively .